A convoy of U.S. armored vehicles drives near the village of YalanlI, on the western outskirts of the northern Syrian city of Manbij, March 5, 2017. Ankara emphasized that the Manbij road map reached between Turkey and the U.S. is an exemplary agreement for Washington and a model for it to cease its cooperation with the PKK terrorist group's Syrian affiliate People's Protection Units (YPG). "The sticking point between us and the U.S. is [their] choice of allies. Because this ally is the YPG, an extension of the PKK terrorist organization, which caused the deaths of thousands of people and poses a national security threat for Turkey," Deputy Foreign Minister Sedat Önal said Thursday at an event organized by the Foundation for Political, Economic and Social Research (SETA). In order to prevent the PKK and its extensions from tightening its grip in northeast Syria and disrupting peace efforts in the region, Turkey aims to accelerate the Manbij process that was launched in June with the U.S. As part of the deal, Turkey and the U.S. agreed to work on the withdrawal of the YPG from Manbij. The aim of the Manbij deal is to ensure security and stability in the province by eliminating YPG terrorists who currently control the region in northern Syria and ultimately handing the administration of the province to a body consisting of local people. Answering a question on whether there is an exact schedule for the completion of the Manbij road map; Önal said the U.S. is already implementing its withdrawal agenda after President Donald Trump's decision. However, Ankara says progress in the Manbij deal has been "sluggish" and slower than initially planned, due to what has been described as the disingenuous attitude of the U.S. Yet, officials of the two countries have geared up talks since President Trump's announcement of withdrawal in December 2018. At the time, Trump announced the withdrawal of 2,000 U.S. troops from the conflict-ridden Middle Eastern country. Since then, however, administration officials appear to have backed down from the initial urgency and the current envisaged timetable is unclear. The U.S. military is preparing to pull all U.S. forces out of Syria by the end of April, according to a Wall Street Journal report published Thursday, citing current and former U.S. officials. The decision was criticized by some U.S. officials and prompted the resignation of the then-defense chief James Mattis. Nevertheless, the process of pulling out is underway on the ground, as the removal of equipment in recent days was first reported by CNN, which quoted an administration official with direct knowledge of the operation. Regarding the matter, Foreign Minister Mevlüt Çavuşoğlu said on Wednesday that there was still little clarity on the details of the U.S.' withdrawal from Syria and the creation of a safe zone in the northeastern part of the country. Turkey wants to set up a safe zone in northern Syria with logistical support from allies and says it should be cleared of the U.S.-backed YPG terrorists. While Turkey seeks to preserve the territorial integrity of Syria, a resolution of the conflict remains elusive due to the U.S.' support of the YPG, which pursues a separatist agenda in the country. 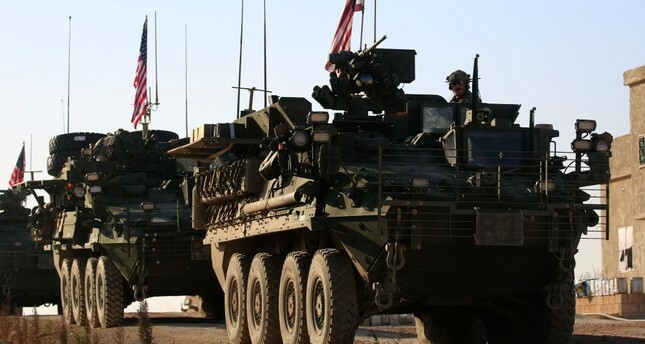 Previously, Turkey targeted the YPG in two cross-border operations, Operation Euphrates Shield launched in August 2016 and Operation Olive Branch in January 2018, as well as through air and artillery strikes. A senior U.S. official told Daily Sabah that "we are as committed as the Turkish government to the full implementation of the Manbij road map. We are working hard with our partners on the ground to implement the road map we agreed with Turkey." The source said both Turkey and the U.S. agreed that the process has gathered momentum. Manbij and its surrounding areas have remained under the control of the U.S.-backed Syrian Democratic Forces (SDF) since August 2016. The YPG-dominated group ousted Daesh terrorists who had captured the town from moderate opposition in January 2014. Stressing that Turkish-U.S. relations have had an institutional ground since the Cold War era, Önal said that bilateral relations hold a great significance due to the complex political situation in the region. He added that Turkey and the U.S. are singing the same tune on ending the Syrian crisis with a nationwide cease-fire and political solution. Turkey and the U.S. established a mechanism to address separate issues in working groups, including the stabilization of Manbij and to prevent undesirable clashes, following a visit by former U.S. Secretary of State Rex Tillerson to Ankara in February 2018.